All projects in the Ecosphere+ portfolio work with local communities to develop sustainable livelihoods, for example by supporting sustainable enterprises. This is a key focus as it reduces local pressures on the forest. A sustainable enterprise is one that builds its value through the sustainable management of natural capital, promoting conservation and providing fair and decent employment to local communities. Climate finance, from the support of our clients, works to build the capacity of these enterprises, through providing technical support, teaching business owners financial literacy and helping connect local enterprises to international markets. 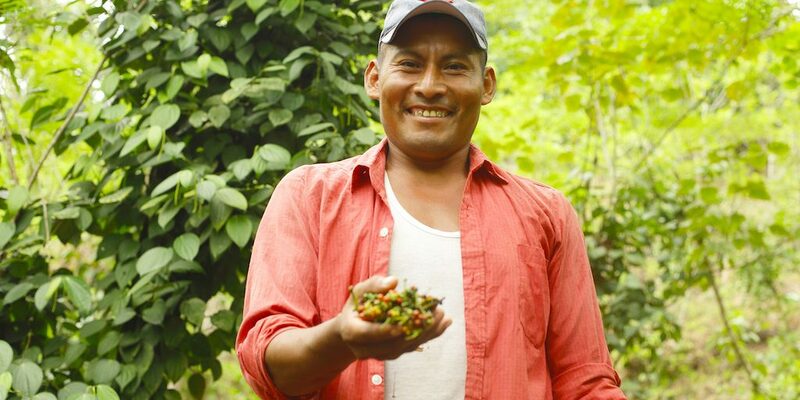 At our Guatemalan Conservation Coast project, we are working to expand sustainable agriculture practices among local farmers. Six Biocentres, or “Biocentros” in Spanish, have been developed. These centres cover a total of 150 hectares across the Izabal region of the project in Guatemala where they combine forest protection with the regeneration of degraded land. At these Biocentres, different agroforestry systems, which combine timber wood species with products like cardamom, cinnamon, xate, black pepper and rubber, among others, are being tested. The centres are used to train local farmers with the right agronomical practices needed to make the systems both economically viable and environmentally sustainable in a way that works with the forest rather than against it. One of the products is cardamom. Local cardamom farmers in the area, who have received training from the biocentres, have now been able to access international buyers of their product. They have recently entered into a value chain which transforms their sustainable cardamom into oil and transports it to Europe where it is used in the French cosmetics industry. This work is critical to the protection of the patchwork forest landscape. Increased industrial agriculture, such as palm oil, banana and cattle ranching, has pushed small scale subsistence and commercial farmers deeper into the forest, including protected areas. This has resulted in the loss of 65% of the original forest cover in our project area, one of the highest global deforestation rates of the last decade. This region is very hilly, so tree cover is critical to erosion prevention and deforested hillsides are at substantial risk for erosion of top soil and landslides. 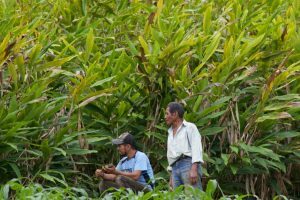 As a result, agroforestry systems that integrate trees with agriculture are essential to maintaining the health of the landscape and maintaining productivity for local farmers. 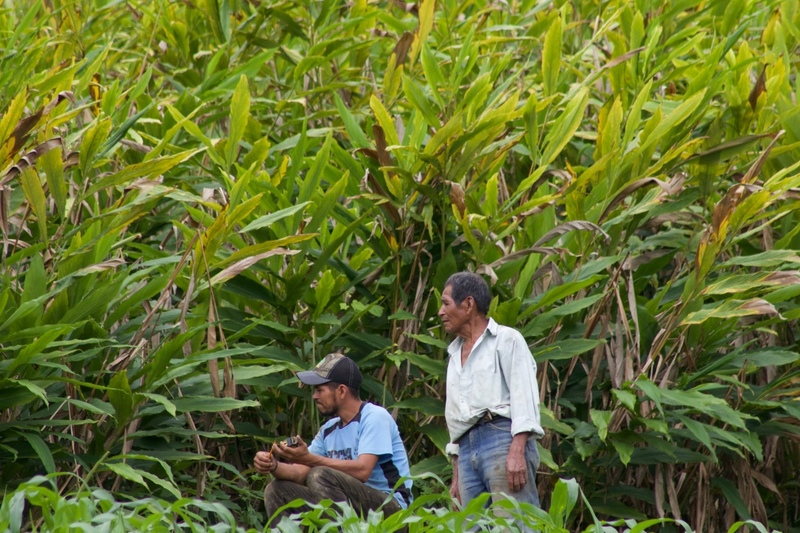 Therefore, central to our work at the Guatemalan Conservation Coast project is to support local farmers in learning new techniques that simultaneously secure a better livelihood for them, produce sustainable commodities for international markets and also relieve pressures on the forest. Contact us today to find out how you can support the work of the Guatemalan Conservation Coast project.